The Top Holiday Books by Texans – Yeehaw! It’s almost December and the holiday season is upon us whether we like it or not. Here’s an easy way to knock some of those items off your “To-Do” list. Celebrate the wealth of artistic talent in Texas by buying books created by Texan authors and illustrators. 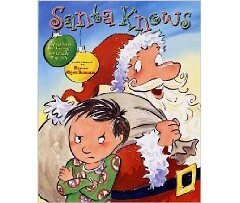 I promise you’ll find something perfect for all the kids on your list! 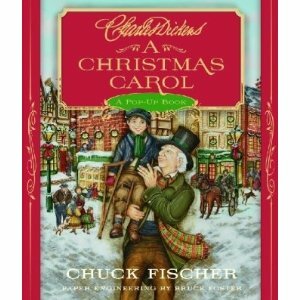 Another traditional tale with a holiday twist! 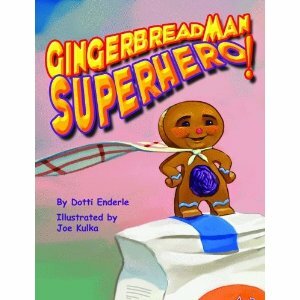 As the oven door opens, Gingerbread Man leaps out, shouting “Flour Power”! Then the cookie crusader takes off to save the world and sweet adventures commence! 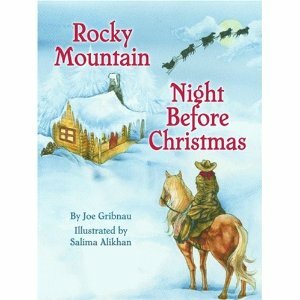 Rocky Mountain Night Before Christmas by Joe Gribnau and Salima Alikham When Santa loses his voice and all the reindeer get sick it is up to the tiny calf Sugar Lump and his cow friends to pull the sleigh and save Christmas. 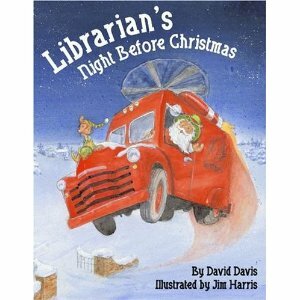 Librarian’s Night Before Christmas by David R. Davis and Jim Harris A hard working librarian is surprised by Santa who with the help of his elves cleans up the library and puts away the books in a blink of an eye. 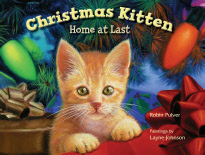 Christmas Kitten, Home at Last by Robin Pulver and Layne Johnson Santa and Mrs. Claus worry about what do with Cookie, a homeless kitten. Unable to keep the kitten themselves (Santa is allergic! ), they luckily find a perfect home for a very special kitty. Ready or not the holiday season is upon us! Halloween is here, Thanksgiving is on the horizon and the specter of Christmas has been with us since the stores started putting up their holiday displays in August. Recently I had the pleasure of chatting with Houston author Kathy Duval. 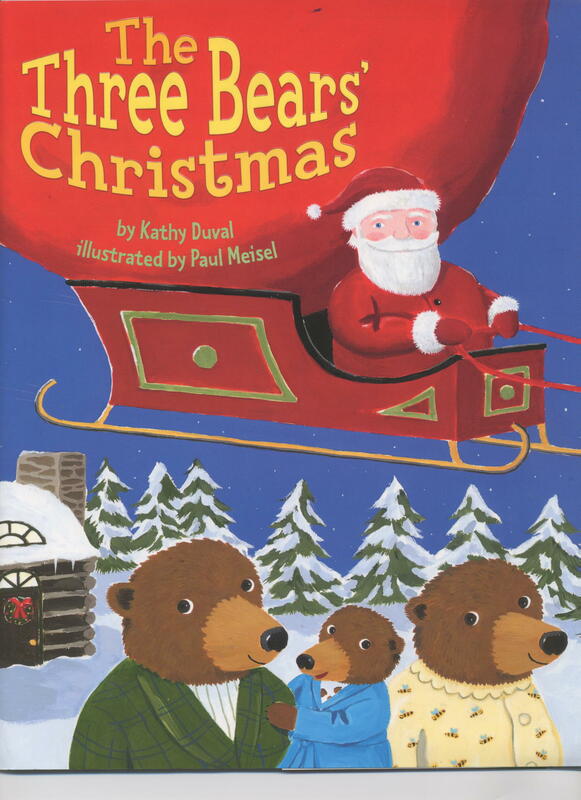 Kathy has written two picture books The Three Bears' Christmas and The Three Bears' Halloween that are a perfect for this time of year. During her virtual visit, Kathy and I discussed her techniques for unlocking creativity and finding inspiration. Where did you grow up— and where do you live now. I was born in Enid, Oklahoma and lived on my grandparent’s farm for my first nine months. Most of my life I’ve lived in Houston, Texas, except for stints in Springfield, Illinois and Providence, Kentucky when my father was in the Air Force. This depends on what I’m writing. If I’m working on a picture book, I may write for an hour at a time, two or three times a day. For me, it’s important to come back to the story often with fresh eyes rather than laboring over it for too long. If I’m working on something longer I might write for a couple of hours at home in the morning, then in the afternoon go to one of my favorite writing hangouts— the Barnes and Noble by my house, or a coffee shop— and write for two or three more hours. The way ideas pop into our minds is amazing and mysterious to me. To encourage that process, I carry a journal with me everywhere so I can jot down things that I see or hear that interest me, or ideas or questions that come to mind. I also keep a dream journal. When an idea for a story comes to me, I’m sometimes not aware of what sparked it. However, I have looked back in my dream journal and discovered sketches I’ve drawn of dream characters that later ended up in a story. At night, I often reread what I’ve written that day and while I’m going to sleep I think about what needs to happen next in my story. “Sleeping on it” really works! The next morning, I’m ready to go. I enjoy picture books that are humorous and quirky. Some of my favorite picture books are Officer Buckle and Gloria by Peggy Rathmann, the George and Martha books by James Marshall, and Lilly’s Purple Plastic Purse by Kevin Henkes. I also love stories with a bit of dark humor, such as Monsters Eat Whiny Children by Bruce Eric Kaplan and I’d Really Like to Eat a Child by Sylviane Donnio. Recently I’ve enjoyed reading novels by John Greene (Paper Towns), Gabrielle Zevin (Memoirs of a Teenage Amnesiac) Lynn Rae Perkins (Easy as Falling Off the Face of the Earth), and Jessica Warman (Between). The characters these authors create are unusual, yet highly believable, with authentic voices and humor. Who or what was your greatest influence as a writer? My mother read to me a lot when I was young, so I’ve always loved books. My favorite books were Winnie the Pooh. My grandfather wrote poetry and journals filled with vignettes of his childhood and family history, so I always had a sense of writing being important. I didn’t start writing, however, until I’d worked in other careers as a teacher and art therapist. 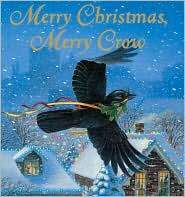 After I took a course in children’s writing at Rice University taught by Mary Blount Christian, I was hooked. Become widely read in the genre you want to write in. Write everyday, read books on the craft of writing, join a writing organization such as SCBWI, and get in a critique group. Take classes and attend conferences. To reach the point of publication, you have to be in it for the long haul, no matter how long that ends up being. If you truly love writing, you will persist. And persist you must! I’m writing in a new genre for me, a young adult road trip romance. A sixteen year old girl goes on a vision quest and her spirit guide sends her on an adventure with two other teens to Los Angeles, where she searches for a mysterious woman with possible links to her lost family. And yes, love happens on the way. Yes! Put the UFO festival in Roswell, NM in July, 2013 on your calendar. I will be launching my next book, I Think I See A UFO. Dress code: Alien attire! You can learn more about Kathy Duval by visiting her website http://www.kathyduval.com/. Her books are available either in local bookstores or any online bookseller.